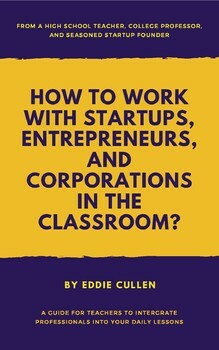 How to Work with Startups, Entrepreneurs, and Corporations in the Classroom? 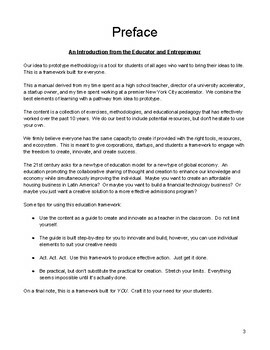 This resource will teach you EVERYTHING you need to know about integrating startups, entrepreneurs, and corporate experts into the classroom! Just DOWNLOAD for inclusion into your daily lesson today! 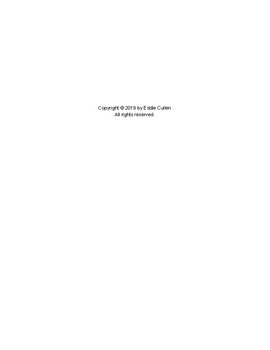 The 44-page pedagogy, curricular framework, and trademarked assessment methodology provides you with all the tools you need for engaging with outside experts in the classroom. Whether you are working with an expert in American history, a virtual reality technologist, a writer for a major magazine, or a math professional working as an engineer at a major tech company, our framework provides teachers with the tools to create effective 21st century lesson plans! Please ask any questions before you purchase the product. I am available at any point to answer questions after your purchase as well! I have spent 10+ years as a teacher and entrepreneur perfecting this framework for teacher professional development. Feel free to email me at edfcullen@gmail.com at any time!